Great concrete contractors can be your soul relaxer and a big-time savior when you engage in projects with them. Having poor work done for you and by unknowledgeable personnel, on the other hand, can cost you a great deal. That would be regarding resources, money and time. You end up regretting why you never knew or looked for a better contractor and you are now forced to start having an extra budget to cater for the loss and the redoing of your projects. However, if you are a Loomis resident or a business owner in Loomis, CA, you need not worry or look further for a contractor that will give you value for your money. We have been operating in Loomis, CA for the past 15 years - providing concrete contractor services to a wide range of old, returning, and new customers. We would love to become a part of your next project. Become a part by dialing our telephone numbers, (916) 473-4001 for a free quote and advice on what you will need. With the most effective concrete calculator / calculation procedures, we assure you of an entirely and easily understandable budget, based on a site visit before starting work. 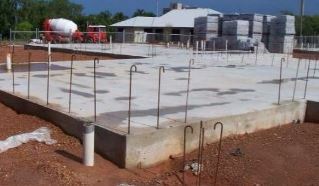 We offer the most accurate concrete cost per cubic yard enabling you set the right budget for your project. We have served the people of Loomis for the past fifteen years without anyone coming back to complain about our work. The only thing that our clients come to do is bringing us new projects to work on or referring new customers to us. Therefore, we take pride in our self-selling tributes, which are purely based on customer satisfaction and an outstanding customer care service. 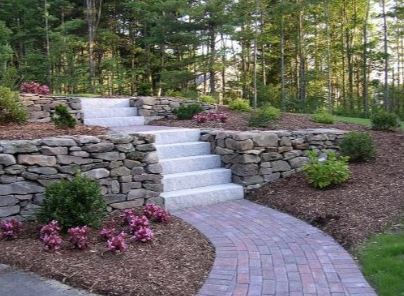 Reach out to Concrete & Masonry Loomis today for more information! ​For example, if you want to hire a mason, say a brick masonry, brick repair masonry, or some masonry blocks need to be done, we are the right company to approach. We have skilled masonry contractors who are specialized in the construction of various buildings, walls, and foundations. Our masonry contractors have all a minimum of ten years of experience and can perform any activity, be it foundations using brick, mortar, stone, concrete or any other construction project. Our masonry construction contractors will also do a masonry repair job to your satisfaction, saving your time and money.